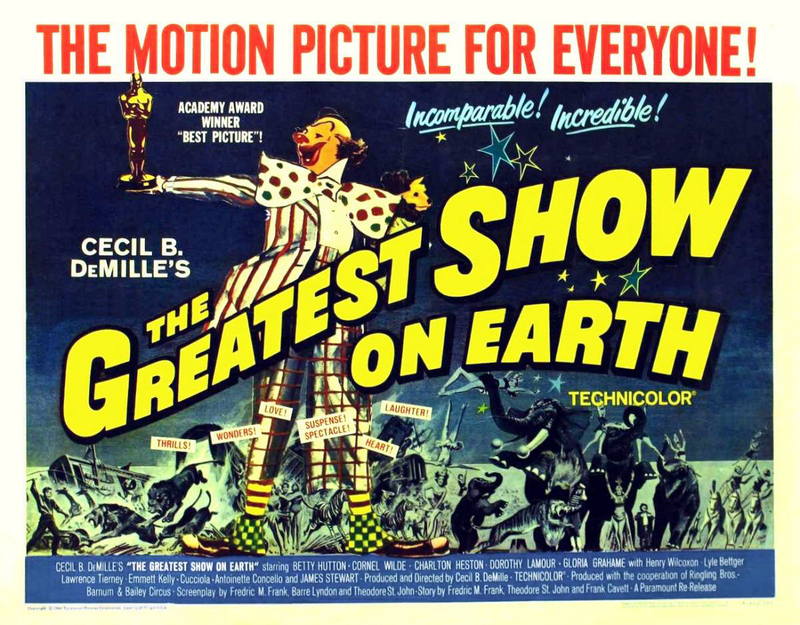 Jimmy Stewart: The Greatest Show on Earth (1952) – Did You See That One? 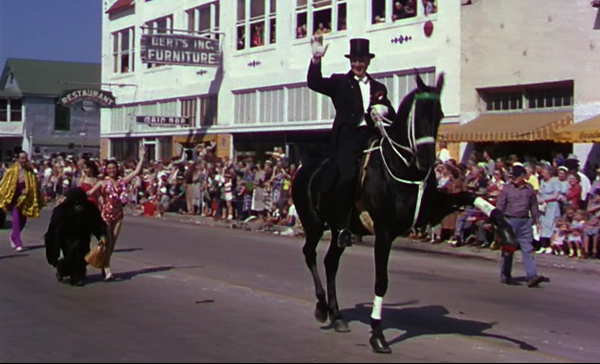 In 1948 David O. Selznick decided that he would make a film centered around a circus. Although he was passionate about the project, he was unable to get the necessary funding. After he abandoned the project, Cecil B. DeMille (The Ten Commandments) picked up the idea and ran with it. 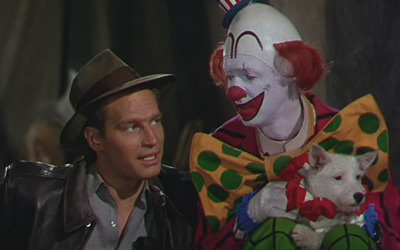 The following year he formed a partnership with John Ringling North to make the film a reality. The partnership allowed him insight and access into the world of circus life. The screenplay, written by Fredric M. Frank (El Cid), Barré Lyndon (To Please a Lady), and Theodore St. John (Reap the Wild Wind) took more than a year to complete. 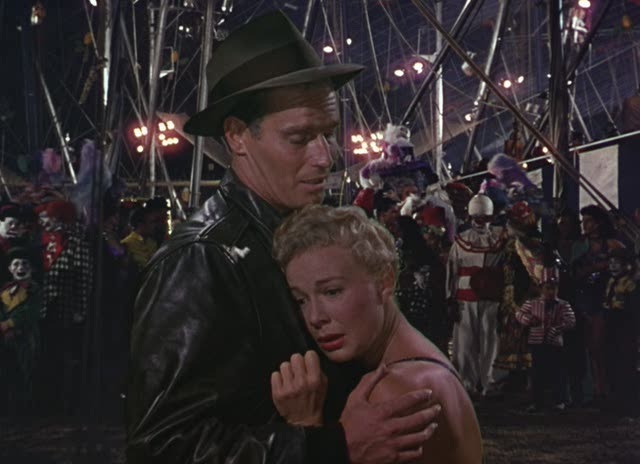 In addition to Jimmy Stewart, the cast includes Charlton Heston (Ben-Hur), Betty Hutton (Annie Get Your Gun), and Cornel Wilde (Leave Her to Heaven). Circus boss Brad Braden (Heston) is trying to keep the show going despite pressure from the ownership. This includes managing the crew and the talent. Brad also has to face his own personal relationships and the past lives of those he works with come back. One of those people is “Buttons” the clown (Stewart). He has joined the circus as a way to run from his troubled past. While he dodges the law, Buttons tries to take care of his circus family. 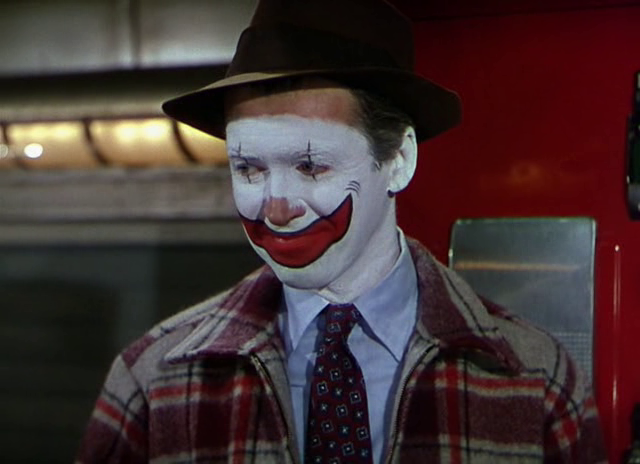 Jimmy Stewart does a good job with his role in this film. His performance really anchors the best dramatic arc of the film. His character, Buttons, was written in a way that connects him with many aspects of the story. He almost becomes the voice of reason for the other stars. He also had great chemistry with Heston and the rest of the main cast members. Charlton Heston also did good work in this film. He has the natural confidence to make his part as the boss believable. He also works well with the other stars to bring out the right tone for their different relationships. 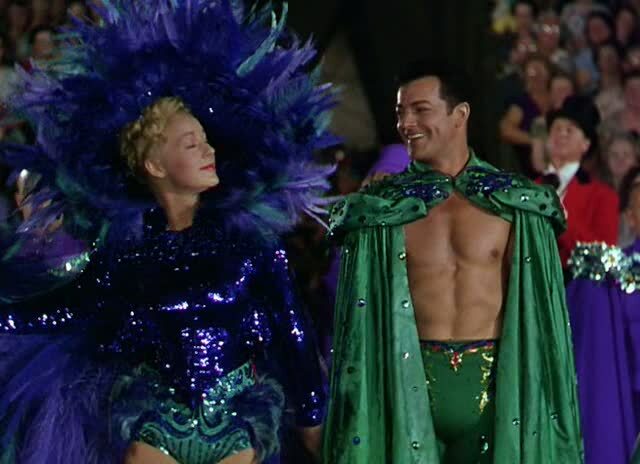 Betty Hutton and Cornel Wilde also do good work, but their parts often feel over-acted. Some of this might be due to the writing, which pushed some aspects of the story a bit too far. This was an interesting choice of roles for Stewart, who was still commanding big salaries for leading roles. While the critics hammered this film, it still managed to win Best Picture and Best Story at the Oscars. 1952 ended up being a productive year for Stewart. After this film, Jimmy Stewart went on to work on Bend of the River and Carbine Williams, which were both released in 1952. Bend of the River was a continuation of his great working relationship with director Anthony Mann (Winchester ’73). While this film saw incredible success at the time, it has long been considered one of the worst Best Picture winners of all-time. Today the movie doesn’t hold up well, and should be watched only for the nice performances by the small group of actors mentioned above.